SPORAH TV: HAPPINESS IS A CHOICE, ONLY YOU CAN MAKE YOURSELF HAPPY..! HAPPINESS IS A CHOICE, ONLY YOU CAN MAKE YOURSELF HAPPY..! 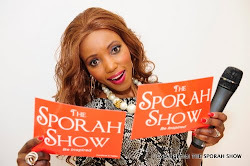 Hi Felicity Okolo, Welcome to The Sporah Show..! 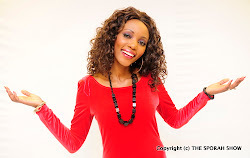 Dynamic life coach is owned and managed by Felicity Okolo. Felicity Okolo like each of us has been on her own journey of discovery, which she shares through her work. She is one of the UK's leading Life Coach & Speaker especially on Women Empowerment. Domestic abuse is a terrible thing, Felicity went through domestic abuse for many years. Here Felicity Okolo tells Sporah domestic violence story, she is a strong woman, she went through alot in her life.! She had horrible HORRIBLE life few years ago, but now ... ! All on The Sporah Show this Monday 9:30pm on BEN TV SKY 184. God has let her live to write her true life story. Millions of women still suffer domestic violence throughout the world. Most of the victims are trapped in that situation for different reasons and are unsure of how to set themselves free from that trap. Many women are not aware of the trap until they are caught in it. Who stole my power? And The Easy Way To Reclaim It! Living Your Ideal Life Doesn’t Have To Be Hard! This book is about we as super-beings playing small. The book shows you how to start using your power as a god to excel in life. If your power as a god has been stolen, it shows you how to reclaim it and live loving, joyful life to your true potential while enabling others to do the same. Too many of us live our lives in worry of fulfilling our material desires and fear of the unknown. We tend to search for directions in all the wrong places and before you realise it, your power to excel in life is stolen. How to tap into your infinite power of imagination & intuition. Thank you Felicity for coming On The Sporah Show..! Happiness is a choice. ONLY you can make yourself happy. Make your choice today and start enjoying abundant love, peace and happiness. We can help you with our range of products and services. Great books you cannot miss! If you have not read them already go and get them www.felicityokolo.com if you have read some of them, read 'em again! . 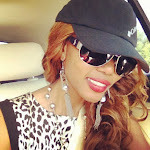 It Is My Life And I'm In Charge - From Felicity Okolo. ONLY YOU Can Make Your Life What You Want It To Be! It Is My Life And I'm In Charge takes you through the many different 'faces' of domestic violence. Based on the authors true life experience which she shares to help other women who have been or still experiencing domestic violence know that they too can overcome domestic violence and become extremely happy and successful. The author also invites everyone to play their role to help eradicate domestic violence from the world because it affects us all, directly or indirectly. How to rise above adversity and start taking charge of your life. MEETS TALENT AGENCY FOR KIDS IN THE UK..! Nathan Moses Ekeke from Wabara Talent Agency representing kids from newborns to 18 years old. Sporah, Nathan and Jacqueline Wabara, The CEO of Wabara PR and The founder of Miss Nubiana UK. You have a better chance of getting your child an excellent talent agent..! DON'T MISS OUT THE SPORAH SHOW THIS MONDAT 9:30PM ON BEN TV, SKY 184. Nathan and Sporah after the show. ALL COMING OUT THIS MONDAY 9:30PM ON BEN TV SKY 184..! STAY TUNED. I want that book, i think somebody stole my power and i don't know how to get back. Domestic violence is when one person in a relationship purposely hurts another person physically or ... Sexual abuse like forcing you to do something sexual you don't want to do ... Sometimes it is hard to know if you are being abused. ... If you are hurt, go to a local hospital emergency room. Hi Sporah, A true, my personal story from the experience, I Am a Victim of Domestic Violence. ... and essentially, in the end I was faced with the situation of living with my new boyfriend.... Its a long story, i will email my story to sporah show. I want to thank you Sporah for being awesome to work with, It was nice to meet you., I love your show and look forward to a lasting business relationship. Hi sporah, I just wanted to tell you how much I love your site! keep up the good work! Nimekuona Star tv leo sporah, nimeipenda sana show yako. ni kweli dada raha jipe mwenyewe. Nimeangalia show yako leo Star TV, nimeipenda sana hongera sana dada na Mungu akuzidishie. so true sporah, no one can make you happy. blog nzuri sana sporah, kuna mengi mno yakujifunza na ya kutufungua macho, nimepoteza 3hrs humu just like that. No REGRETS. Am watching your show sporah, i looooooooooooooooooooooooooooove it! your soooo good on this hun keep it up. Mungu akuzidishie mdogo wangu, na usisahau kumshukuru Mungu kwa neema zote anazokupa. I live in Canada, and I guess the only way I can get to watch your show is online( Both Youtube and through your Website.) I am not sure how to get it from Cable from Canada. I am glad you are keeping an African touch to the show. God Bless You.